This entry was posted in ES and tagged noticias on March 3, 2014 by FEMEN. This entry was posted in ES and tagged noticias on March 2, 2014 by FEMEN. Les derniers développements de la situation en Ukraine, les événements et les images marquants, les reportages de nos correspondants et les analyses de spécialistes. This entry was posted in FR and tagged nouvelles on March 2, 2014 by FEMEN. This entry was posted in VN and tagged tin tức on March 2, 2014 by FEMEN. 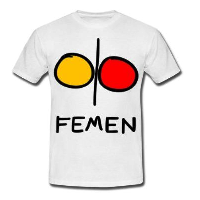 This entry was posted in EN and tagged news on March 1, 2014 by FEMEN. This entry was posted in FR and tagged nouvelles on March 1, 2014 by FEMEN.